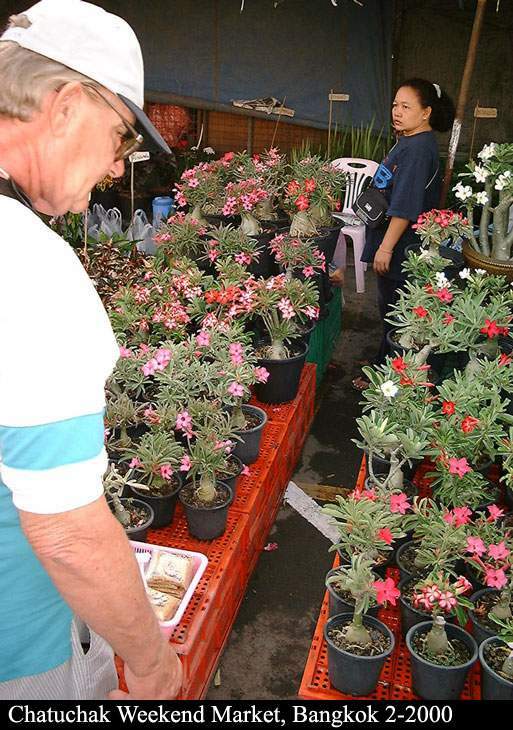 Three pictures to the left. 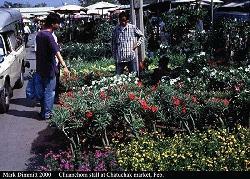 The Chatuchak Weekend Market in Bangkok. 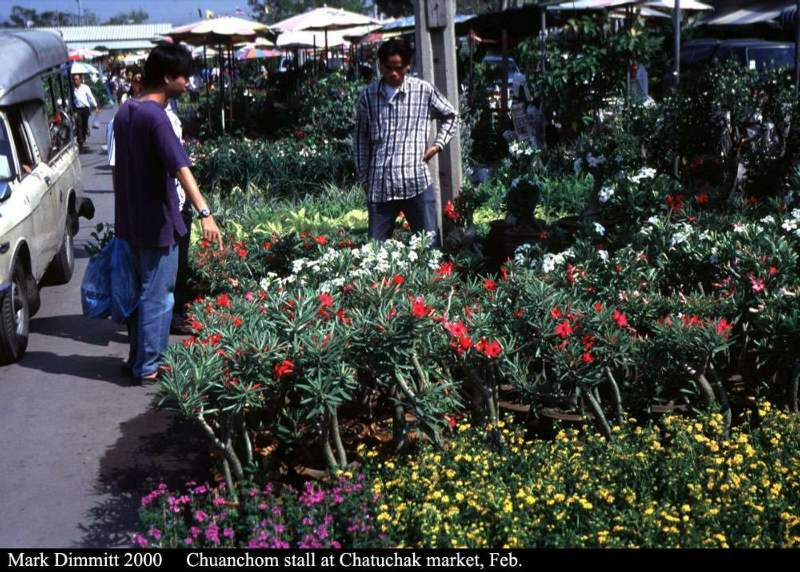 It's a bit misnamed because it's open on Wednesdays and Thursdays for plants only; it is regarded as the largest plant market in Asia. 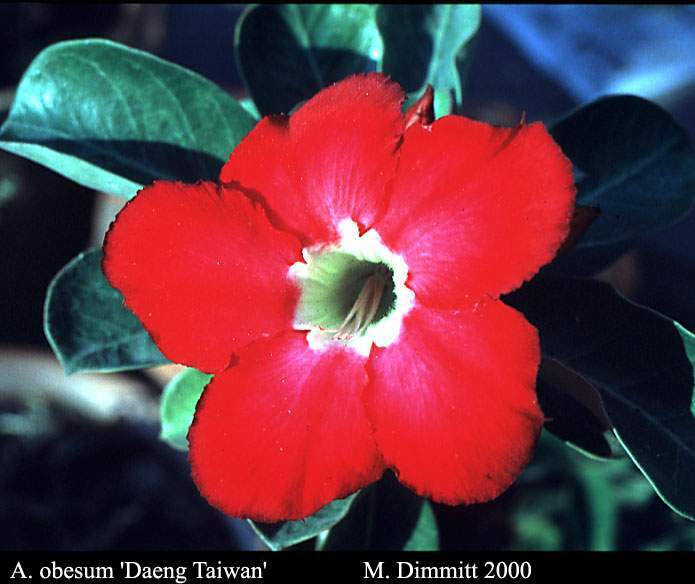 The red adeniums in this image are ‘Crimson Star', a very popular cultivar sold by most adenium nurseries. These photos were taken in 2000. Mr. Chartre (left) and Somsak, two avid adenium breeders, flank a large specimen at Somsak's nursery. 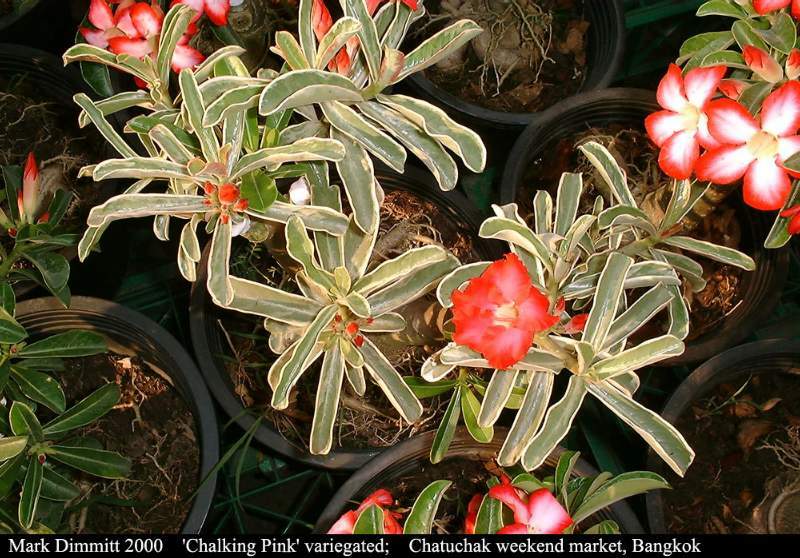 ‘Phet Muang Ngam' develops pink spots as the flowers age. 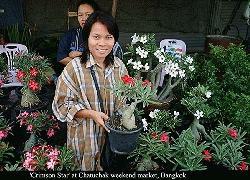 ‘Daeng Taiwan' is widely available in Bangkok. 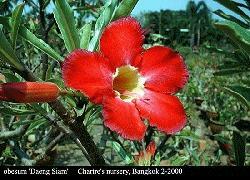 "Daeng" means red. 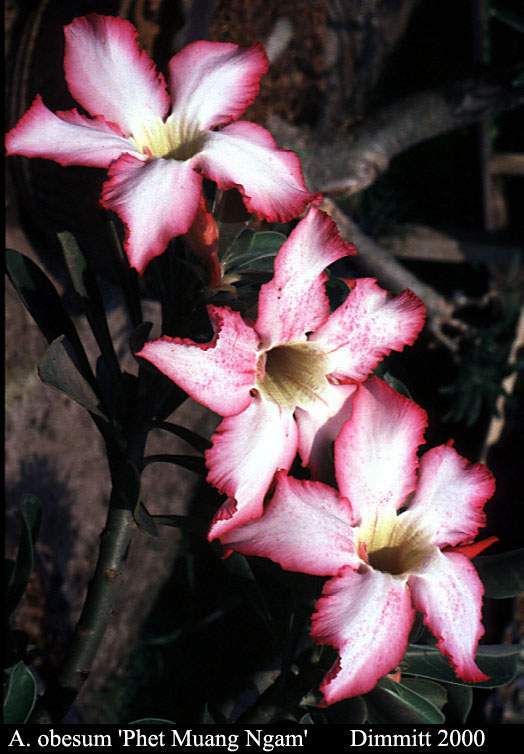 The name suggests that this clone originated in Taiwan. Indeed there are several excellent reds on that island; some are posted in the files section of Adenium at Egroups.com. 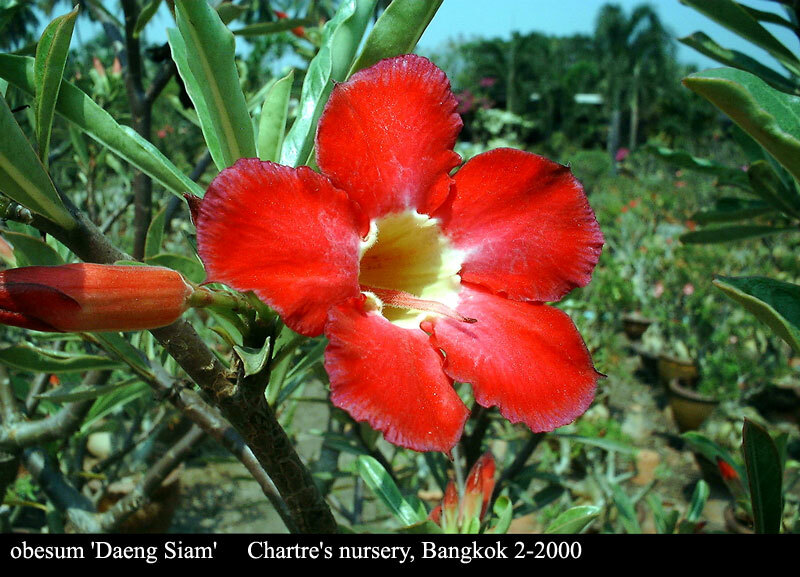 ‘DaengSiam', named by Chartre in 2000. The image barely shows the purple edge on the bright red petals. 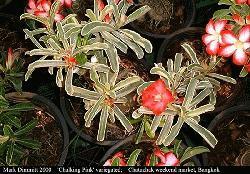 There are several obesum cultivars with variegated foliage and pink flowers. This one has red flowers. 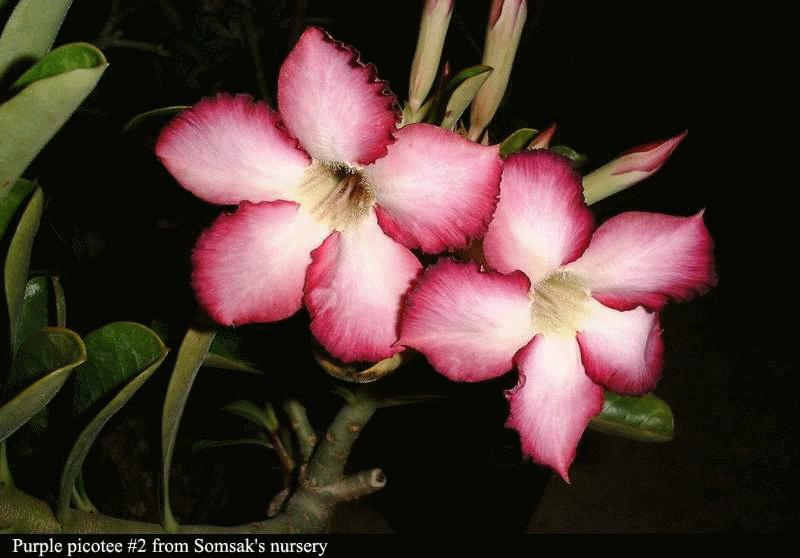 Some vendors call it 'Shocking Pink', but in the Thai adenium book that cultivar is clearly an Adenium swazicum and has solid pink flowers. 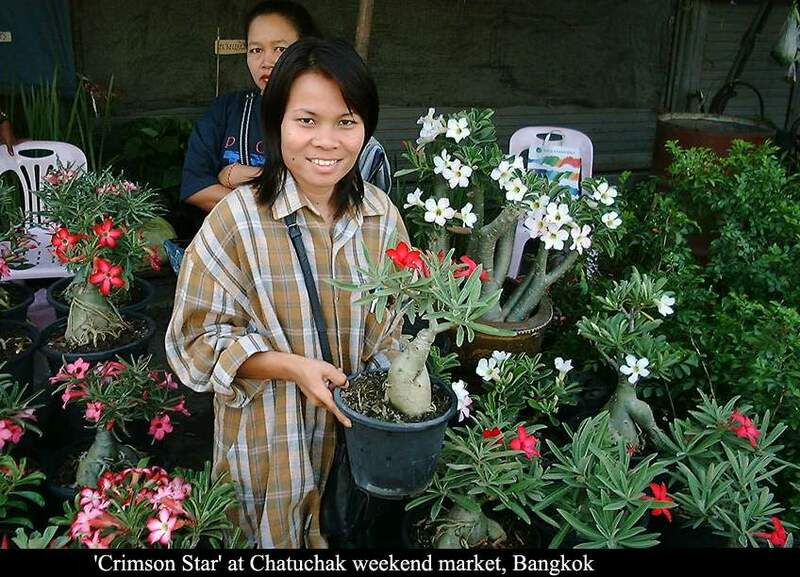 This plant was found in a plant stall outside the Central Plaza Hotel in Bangkok. The Thai name translates to "tricolor". 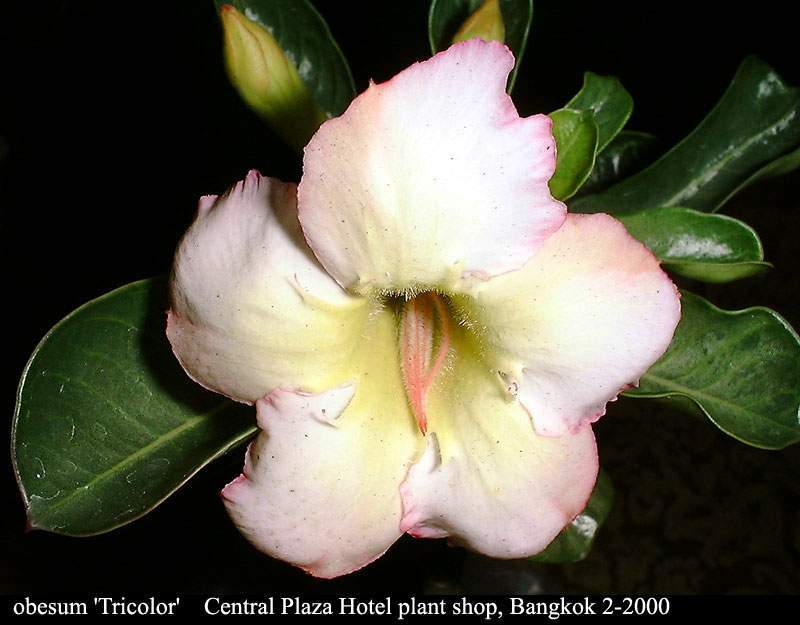 While the color is faint, it may have promise as a breeder. Left and above. 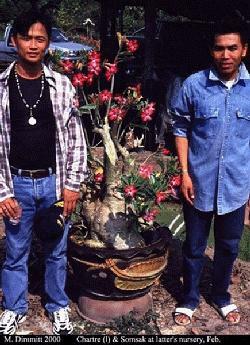 Two clones with purple flowers. 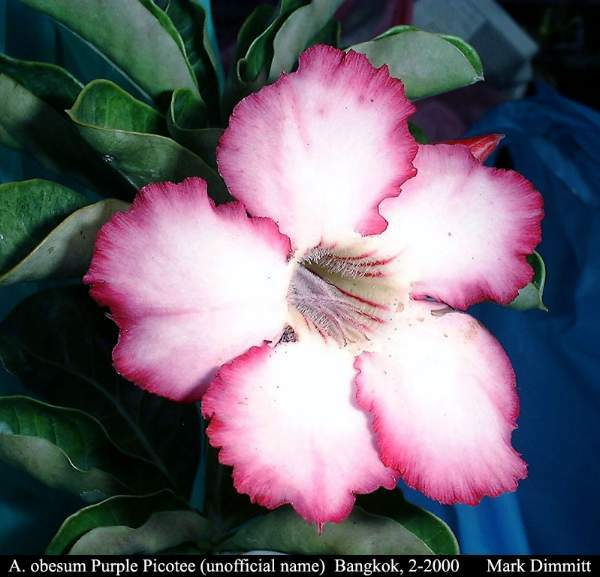 There are also nearly solid purple obesum. 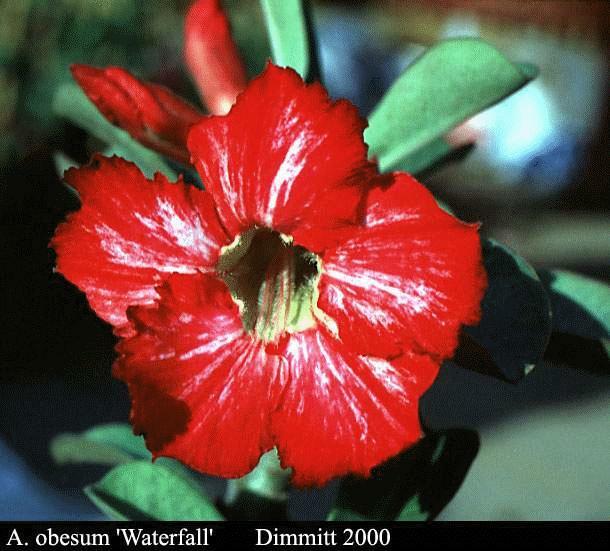 ‘Waterfall' has a variegated flower. Flower form varies with growing conditions; usually the petals have ragged edges.